Washing with ALOHA Concentrated Rinseless Wash & Wax is extremely quick, easy and environmentally friendly. ALOHA contains exclusive polymers that trap dirt to clean surfaces without rinsing and leave a smooth, glossy, and scratch-free finish every time. This product really comes in handy if you are in a municipality that does not allow car washing on your own driveway. There is NO RINSING with this product (there are no soapy suds) !! 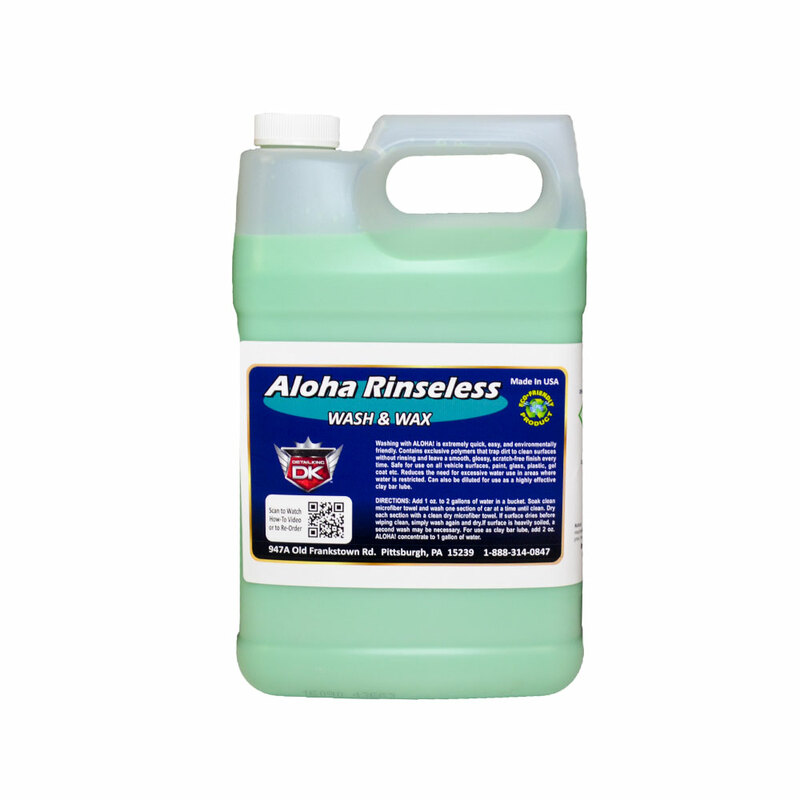 ALOHA Rinseless Wash & Wax is safe for use on all vehicle surfaces, paint, glass, plastic, gel coat, etc. ALOHA is the environmentally friendly way to keep your vehicle clean and gleaming all year round. 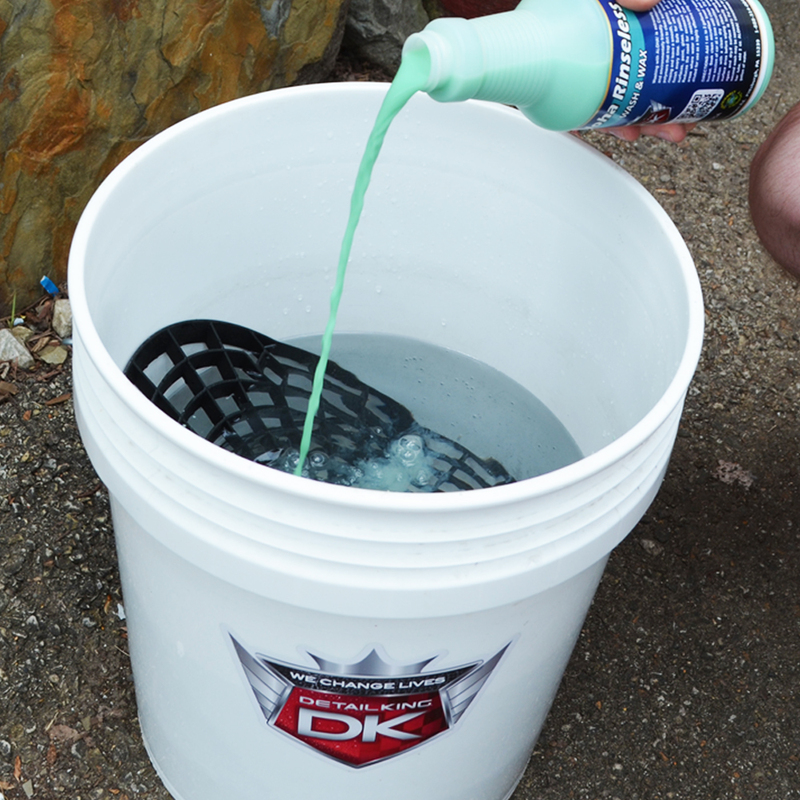 This product is VOC compliant and is completely rinse-less requiring only minimum water usage. ALOHA is very effective for use as a rinse-less wash, express detailer or as a clay lubricant. ALOHA Waterless Wash & Wax reduces the need for excessive water use in areas where water is restricted or you simply do not have the time to rinse the suds away. Add 1 oz. to 2 gallons of water in a bucket. Soak a clean microfiber towel and wash one section of the vehicle at a time until clean. 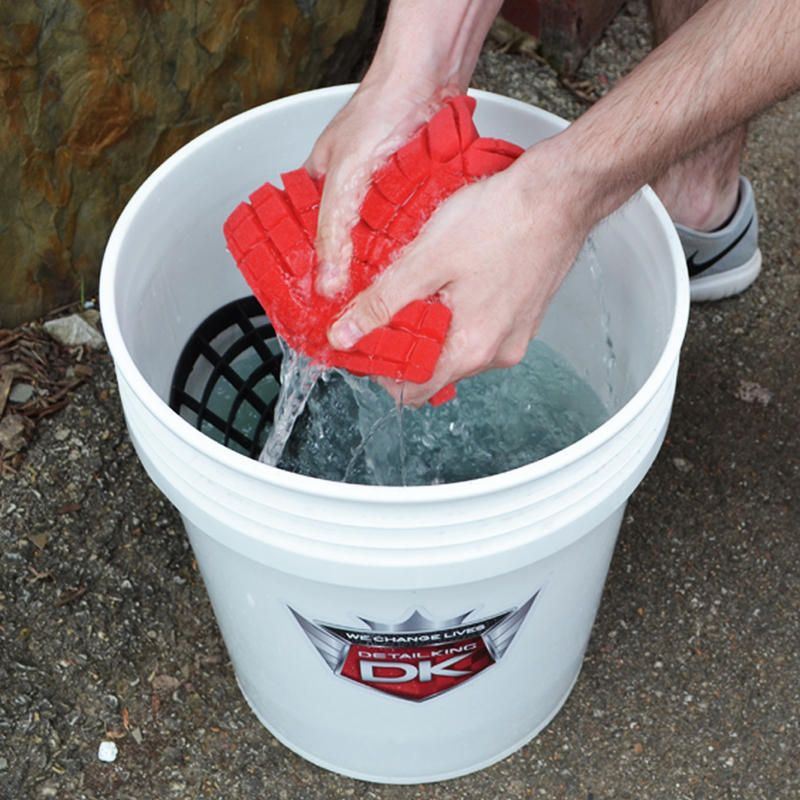 Dry each section with a clean microfiber towel. If surface dries before wiping clean, simply wash again and dry. If surface is heavily soiled, a second wash may be necessary. You can also spray a light mist of water on each component of the vehicle and then spray a light mist of ALOHA, one component at a time. Take a wet clean microfiber towel and clean and dry each panel. For use as a clay bar lubricant add 2 oz. of ALOHA concentrate to 1 gallon of water.